I’ve had a long break from newsletters/blogging/journal writing (call it what you will), largely due to a family holiday away in France, a holiday that turned out to feel long overdue. I’m creaking the researching part of my brain back into life in between freelance work. My interest has been pulled in the direction of articles detailing more project work by other photographers. Mainly this is an attempt to gather a catalogue of approaches and styles to experiment with during my new body of work. The first project was featured on the Huck Magazine website and is concerned with people and their personal passions. 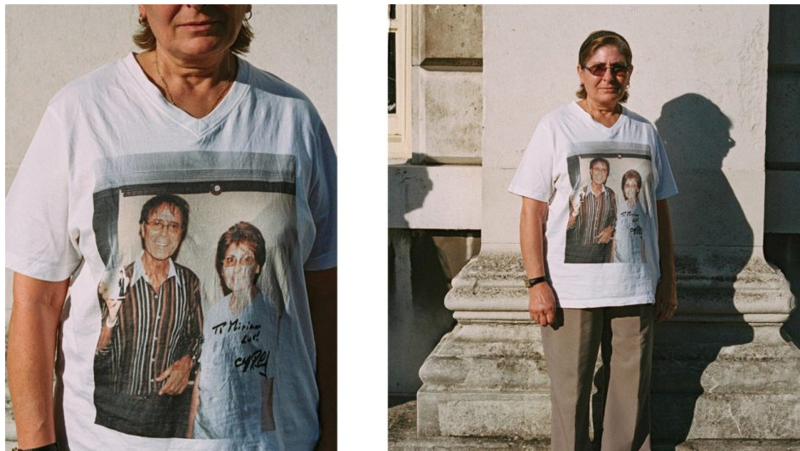 The passion in the case of Robin Mellor’s project is Cliff Richard, and the series of portraits details the clothing and fans found awaiting a concert in the UK. I’m drawn here mainly to the repeated way of capturing the subjects, a cataloguing of both the person and their garments (hand made in some cases). 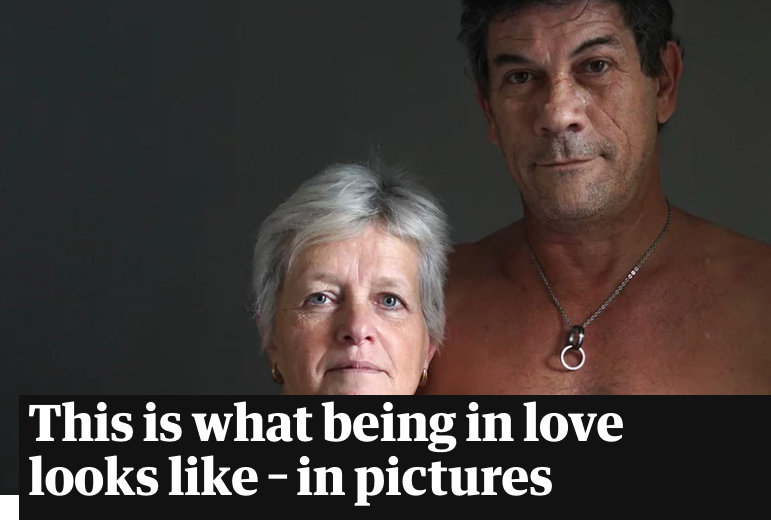 I saw another portrait project on the Guardian website which whilst photographed beautifully struck a chord with me in that it also details testimony from its sitters. “What is Love?” is a simple (or not) question posed by photojournalist Stefania Rousselle and the resulting images and responses are a fascinating insight into the lives and thoughts of strangers on the subject of love and the part it has played in their lives. I’m very interested in the ways I can supplement images with text or sound in order to deepen the connection that a viewer has to an image. This is something I intend to experiment with during the creation of my new series. The final body of work I wanted to include is ‘Black Dots’ by Nicholas White I came across this project on the British Journal of Photography website. 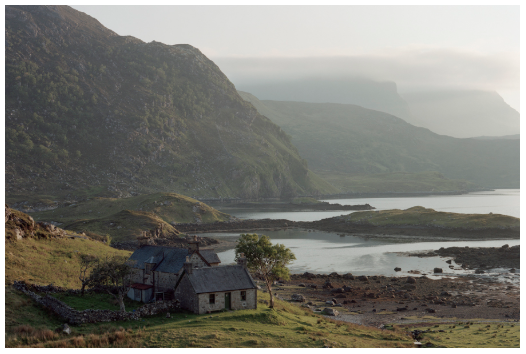 I’d rather not say too much about the work, I really feel though that through the interview and looking at the images the approach, style and standard of Nicholas’ work is where I am aiming to get to. I love this work, I can not praise it enough. The final word goes to Lenscratch who for the month of August have begun a series 'Photographers on Photographers’. It features biographies, images and interviews by photographers with “photographers–image makers who have inspired them, who they are curious about, whose work has impacted them in some way.” It’s definitely worth a glance as I’m sure there is and will be something for everybody’s tastes. That’s all for this week, in a fortnight I’ll hopefully be using this as a space to share some work in progress from the new project and invite some feedback. For now if you want to connect please feel free to get in touch.